If there was ever one area in the lower mainland that highlights the severities of the housing crisis it’s West Vancouver. Similar to Richmond, it’s known for luxury mansions, sky high prices and a dwindling sense of community, any attempt towards productive solutions have quickly been stymied. To understand the severity of West Vancouver’s housing we simply need to look at recent price growth. The MLS benchmark price of a West Vancouver detached home soared by 61% from January 2015 to the peak of the market in June 2016. However, BCREA economist Cam Muir is not convinced foreign capital has distorted the local market. 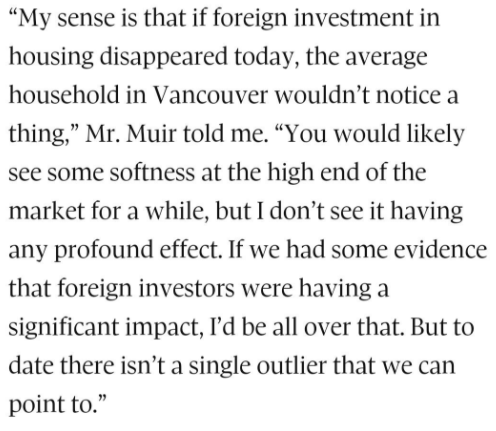 BCREA Economist Cam Muir on impact of foreign buyers. Queue the 15% foreign buyers tax. Prices instantly plopped, while sales are in total free fall mode. When comparing sales year over year, since August 2016 sales have fallen each month by an average of 66% in the detached market. But I thought it was population growth spurring price growth? Concerning is perhaps an understatement. West Vancouver is just one prime example of policy or lack thereof gone wrong. A playground for the rich, that should be used as a case study to avoid making the same mistakes in other parts of the lower mainland. With Vancouver recently ranked the third most unaffordable housing market in the world, we better act quick. 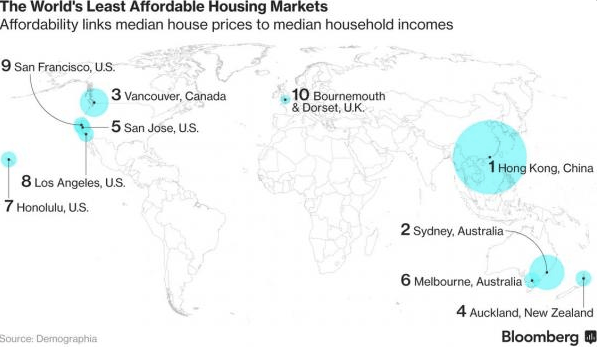 Vancouver ranked third most unaffordable housing market globally.